SafetyChain is a Quality Management System (QMS) that helps food and beverage companies improve productivity, profitability and compliance with a flexible, user-friendly software platform that captures, manages and analyzes real-time operations data. SafetyChain gives you the flexibility to choose the right product package for each facility. Quality Management Software (QMS) that drives more efficient, effective facility operations. Food Safety Software that makes it faster and easier to maintain FSMA compliance & complete audits. 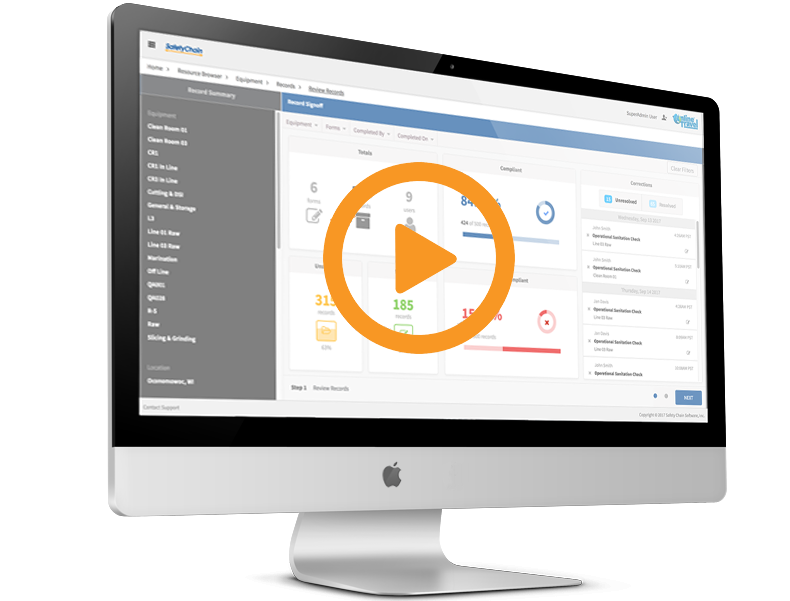 Supplier Management Software that simplifies and streamlines approval, onboarding & collaboration. 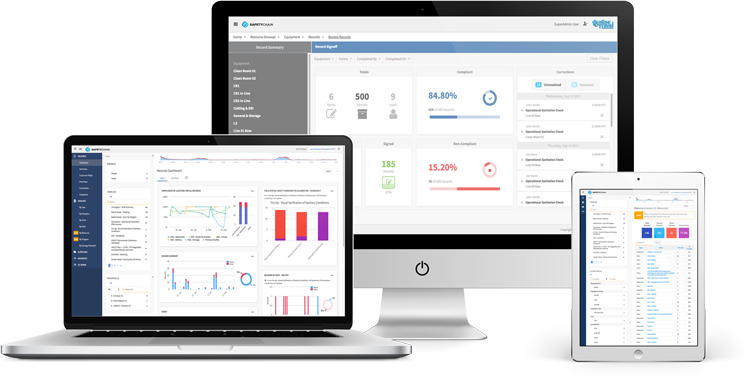 A single, easy-to-use platform to capture, manage and analyze all of your FSQA data. Streamline, automate and optimize your FSQA programs and processes at every facility. Help your team save time and work smarter with easy-to-use tools to capture, process and track data. Save money and increase margins with real-time analytics that drive efficiency, throughput and continuous improvement. Simplify compliance with built-in program management and audit automation.